This white and blue porcelain sign was designed to hang on pumps. 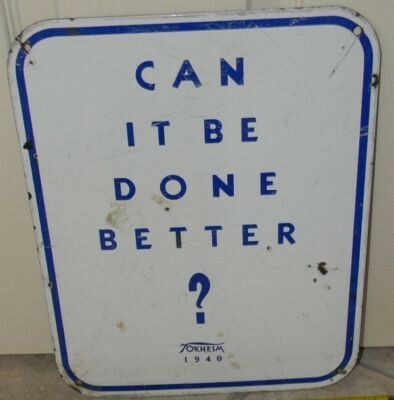 The sign reads, in blue, “Can it be done better? Tokheim 1940.” As we can tell from the sign’s text, the plate is from the 1940s.